In the last few months, I’ve been lucky enough to find three uniquely informative creations by Beatrice Tonnesen. It’s always a treat to find items I haven’t seen before, but it’s especially rewarding when they turn out to contain information that illuminates my glimpse into how she worked. 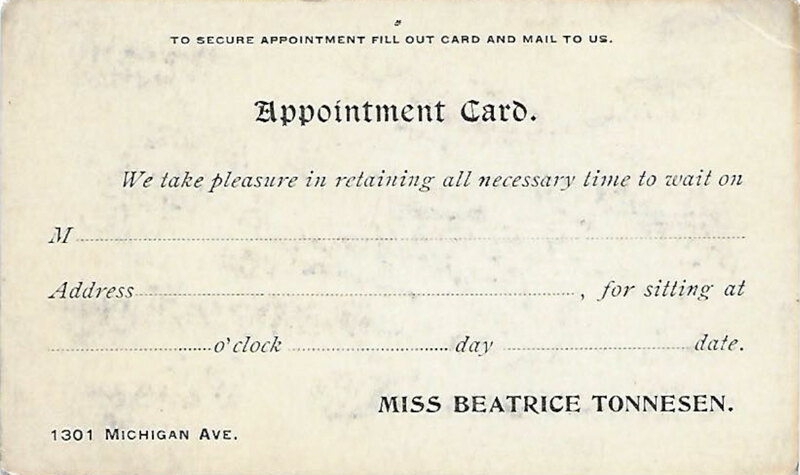 -The elaborate business/appointment card,shown here front and back,must date back to about 1896, when Beatrice and her sister Clara, who functioned as Beatrice’s business manager, moved from Menominee, Michigan to Chicago to take over the studio of the prestigious society photographer S.L.Stein (1854-1922). 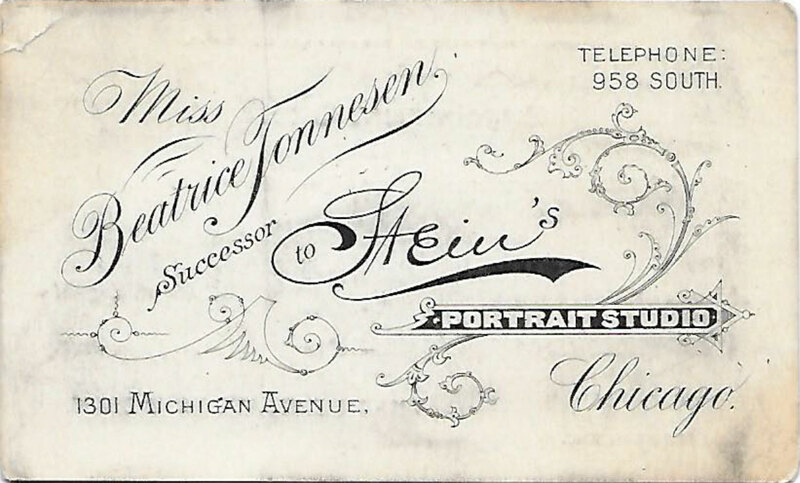 Since the card touts Beatrice as Stein’s successor, it’s reasonable to assume it was created early in the life of the studio which became known as the “Tonnesen Sisters.” Tonnesen Sisters Studio flourished and gained nationwide fame until about 1904, when it was abruptly announced the studio was bankrupt, with claims by creditors totaling $650! Subsequently, Clara returned to Oshkosh, Wisconsin, where the sisters had grown up. 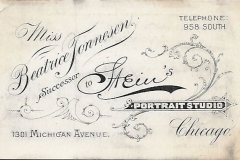 Beatrice, apparently, continued successfully, working solo until about 1930, likely at first from her home in Chicago and, later, from two more studios in the city. 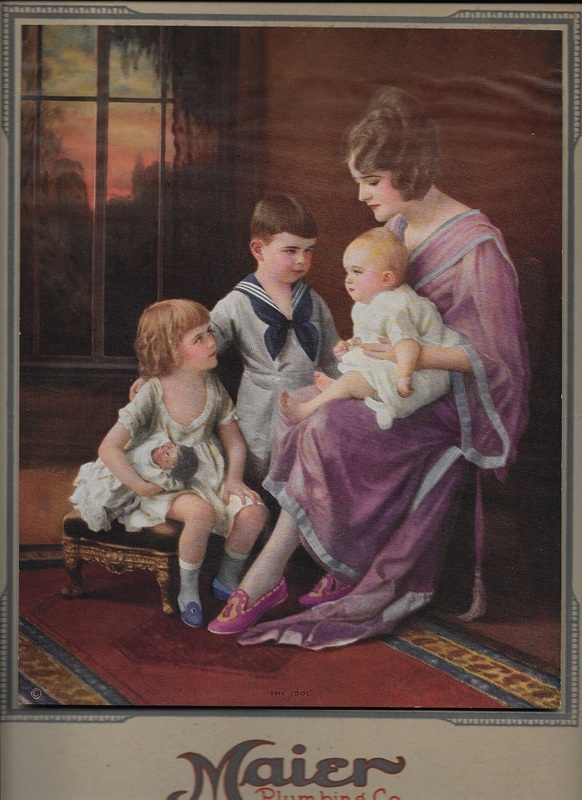 -The beautiful 1922 calendar shown here is a perfect example of the popular “Cult of Motherhood” theme that exalted home and family in the art of the early 20th century. Besides producing a beautifully tinted photograph on a quality, heavy cardboard mount, the publishers provided a very thorough identification -much appreciated by me- of the artwork. 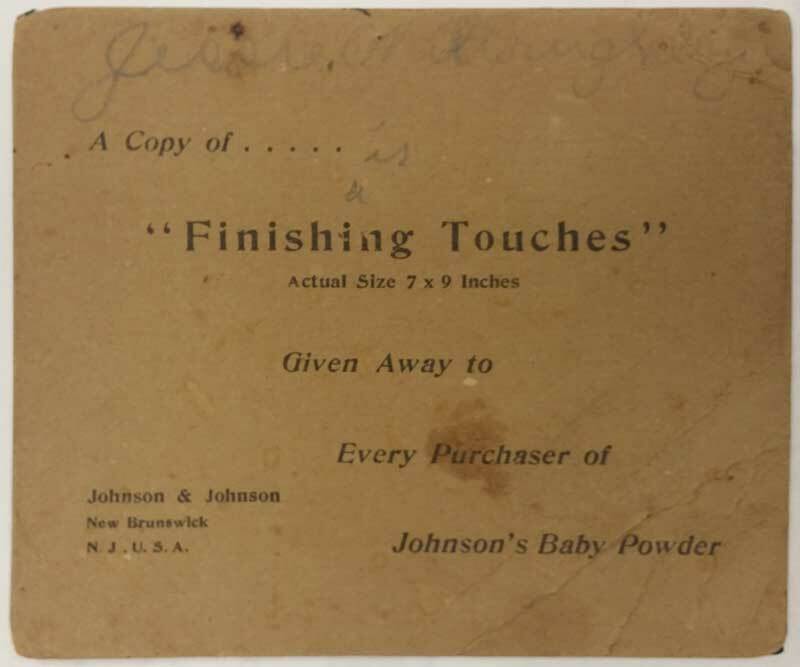 Titled “Baby is King” and copyrighted in 1920 by American Artworks Coshocton, Ohio, it is identified as a “Study by Tonnesen Studios.” (The use of the word “study” in popular calendar art is interesting. I’ve seen only one other photo by Tonnesen described that way.) 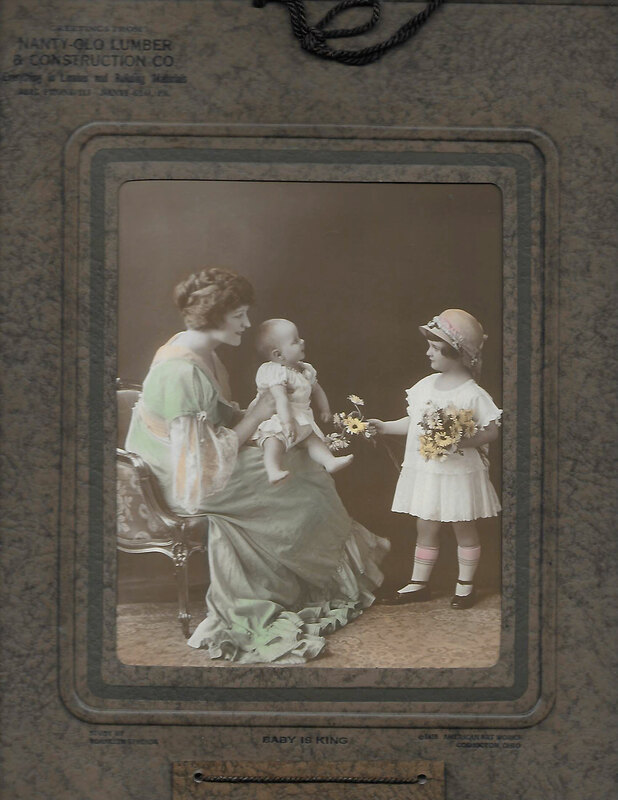 This photo was probably taken around 1917, based on the presence of one of Tonnesen’s favorite child models, Virginia Waller (1913-2006). Virginia modeled, mostly for Tonnesen, from about 1916-1920. The woman in the photo, believed to be nationally-known professional model Adelyne Slavik (1892-1984),often portrayed Virginia’s mother. -The third item is an interesting advertising piece for Bayerman Furniture and Undertaking(! 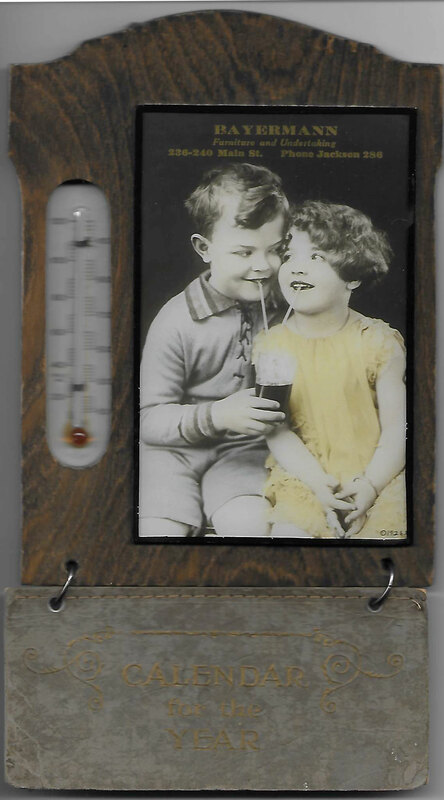 ), with a photo on glass, mounted on wood, with a thermometer and a 1929 calendar. 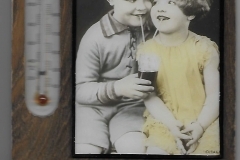 The photo shows a boy and girl who appeared in a series of photos featured on calendars during the late 1920s and early 1930s. I had been wondering when the photos of this couple were actually taken, because newspaper ads indicate that Tonnesen had begun selling her photographic equipment around 1927 in preparation for her retirement in 1930. So I found it very helpful to discover the tiny copyright date etched at the bottom right in this glass: 1926! Both the Oshkosh Public Museum and the Winneconne (WI) Historical Society have original photos from this series. 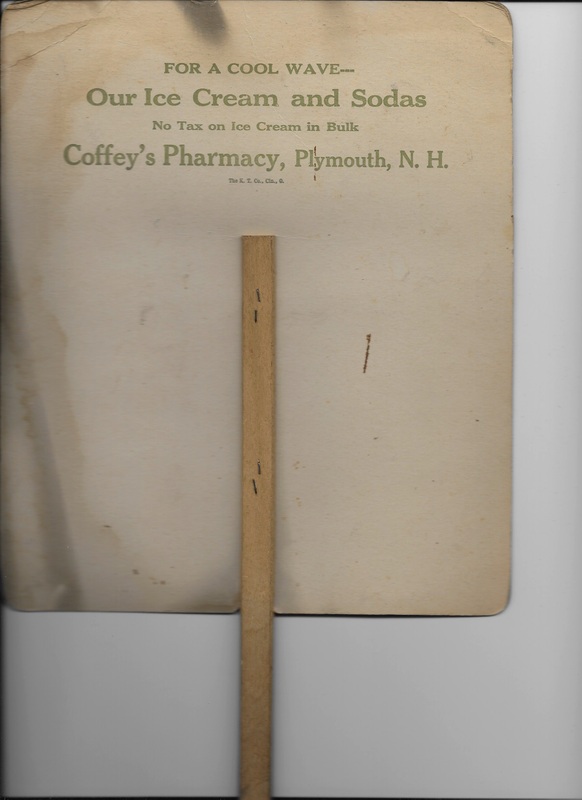 -Ice cream-themed advertising fan for Coffey’s Pharmacy, Plymouth, New Hampshire. This woman appears in several of Tonnesen’s archived photos, sometimes wearing this same dress, around 1920. The dress and the roses are seen often in Tonnesen’s work. The photo seems to have been superimposed onto the illustrated background. 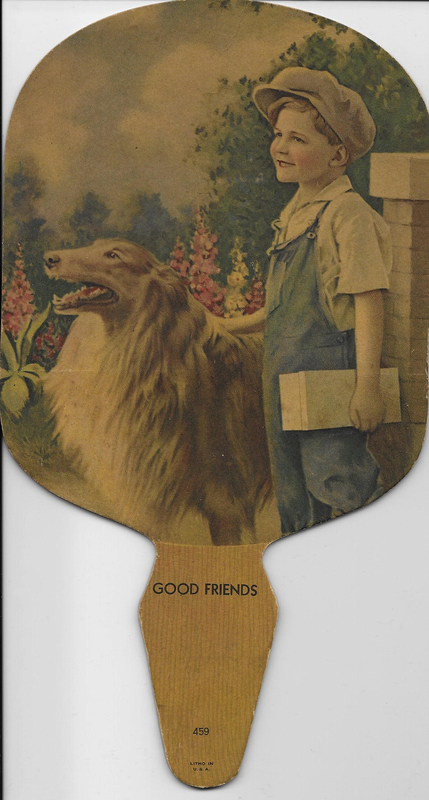 – Back of the Coffey’s Pharmacy fan. 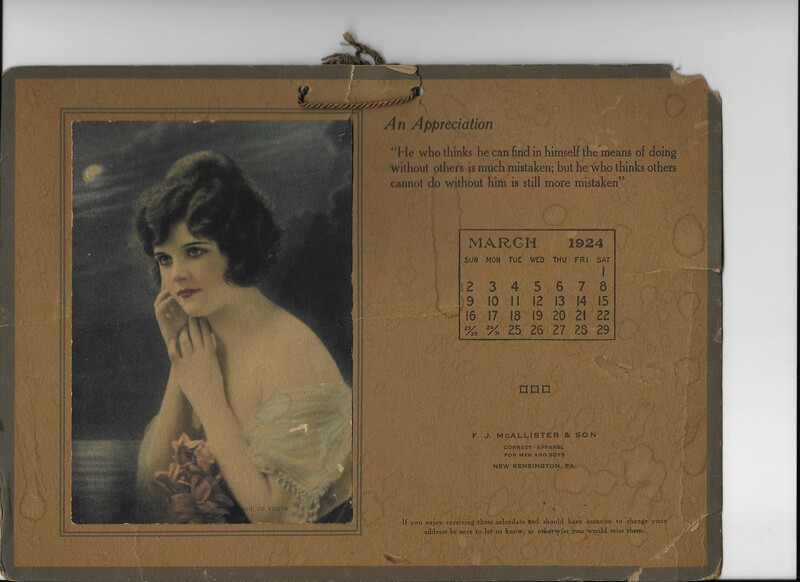 – 1927 calendar featuring a print titled “The Idol,” advertising the Maier Plumbing Co. All of these models appear in confirmed photos by Tonnesen in the early 1920’s. The stool, doll and Mom’s dress are all Tonnesen props. The scene outside the window is typical of other scenes/backgrounds in Tonnesen’s work, making me wonder if she did the illustration as well as the photography. -“The Magic Musician” shown on a 1931 calendar advertising Conservative Life of America, attributed “B. Tonnesen” on the calendar mat. This print is somewhat of a mystery to me. Outside of the fact that the boy can be found in other confirmed photos by Tonnesen taken in the early to mid-1920’s, I can’t find anything else that I would describe as “Tonnesen-like.” Until I saw the attribution, my guess was that it was done by Adelaide Hiebel (1885-1965), who did a series of prints featuring children and bluebirds. That was a very successful series, so it’s possible that Tonnesen decided to jump on the bandwagon. It’s also possible, though unlikely, that the publisher made an error in the attribution. 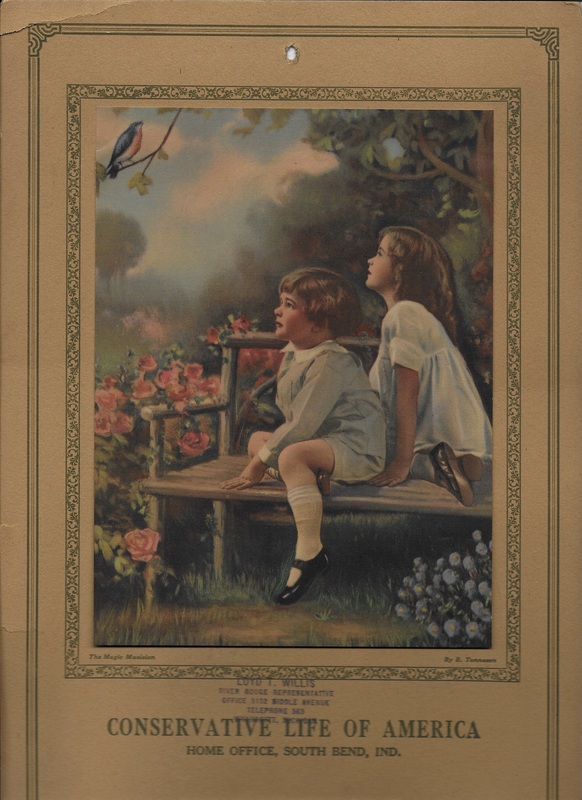 – “The Magic of Youth” found on a 1924 calendar advertising F.J. McAllister & Son Correct Apparel for Men and Boys, New Kingston, PA. The original photo from which this print originated is part of the Tonnesen Archive of the Winneconne Historical Society, Winneconne, Wisconsin. 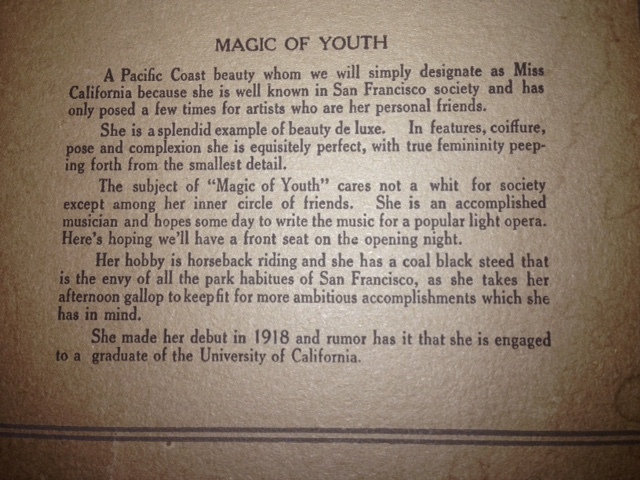 – This “bio” of the model in “The Magic of Youth” is almost certainly fictional. The print on the calendar lifts up to reveal it underneath. These modest, but glamorous, “pre-pinup” era prints of beautiful women were sometimes accompanied by romanticized biographies, probably concocted by the publisher’s copywriters, portraying the models as non-professional, girl-next-door types that the advertiser’s mostly male clientele could dream of meeting in real life. And Tonnesen worked out of her studio in Chicago, not the Pacific Coast, and was known to use local models. Have We Found Yet Another Tonnesen Model? 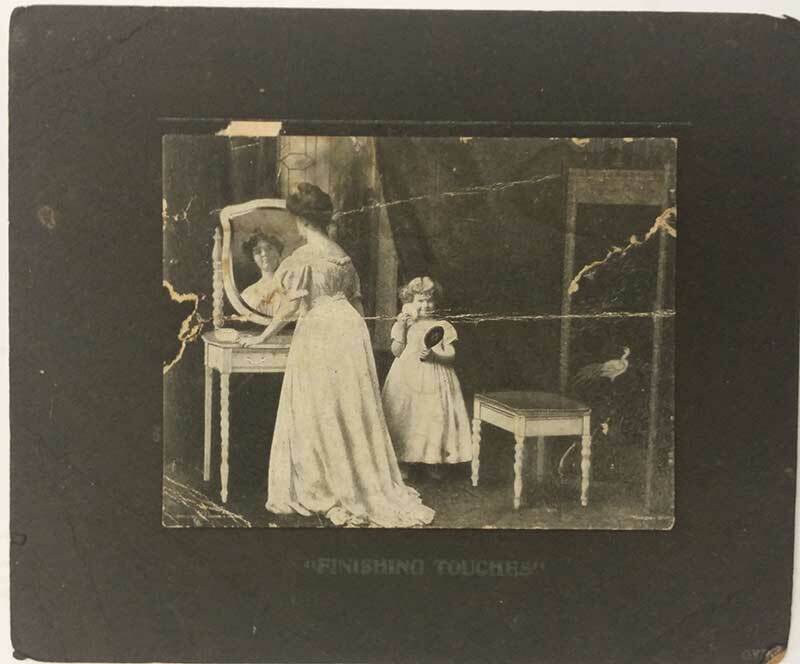 Back in December of 2008, we reported that Chicagoan Jane Berghauer (1916-1994) had been identified as the blond toddler in images by Beatrice Tonnesen circa 1917-1920. Jane had a younger brother, Vern (1920-2004), who was also known to have modeled and, since then, I’ve been keeping an eye out for evidence that Vern had modeled for Tonnesen. 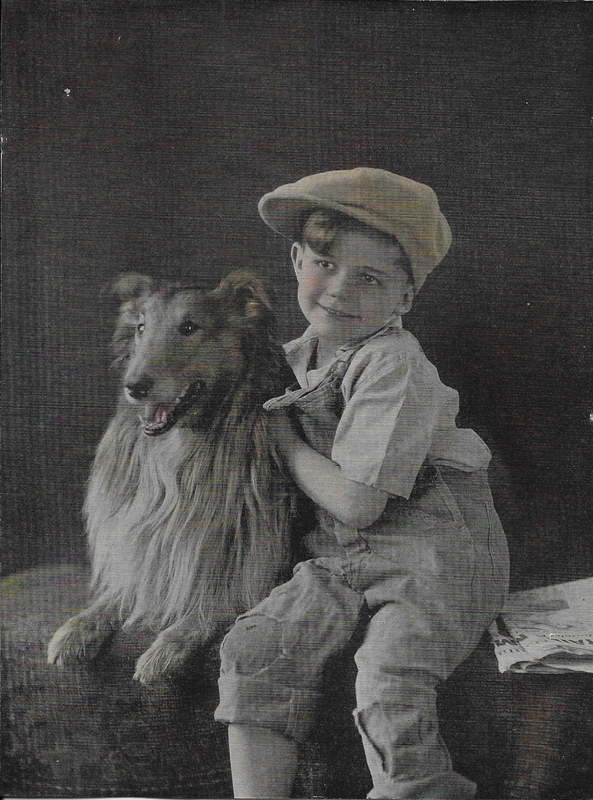 Now, I think I’ve finally found Vern in a pair of images depicting the “boy and his dog” theme so popular in the early part of the last century. I can’t be absolutely sure of either the model’s identity or the identity of the photographer behind the images, but there is strong evidence that Tonnesen was the photographer and Vern Berghauer was the model. The wavy-haired collie in both images has appeared in at least one confirmed mid-twenties photo by Tonnesen and she is known to have produced other “boy and dog” themed photos. 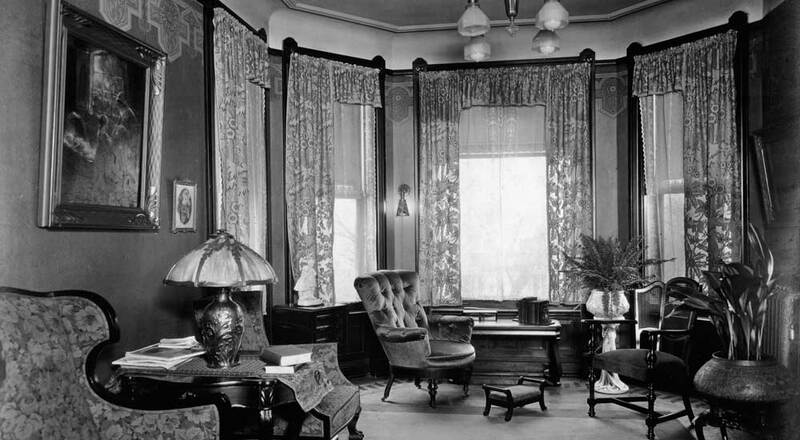 Additionally, the fabric covering the seat in one of the two prints looks to be one she used in other images. And both images can be linked through the identical clothing worn by the boys. 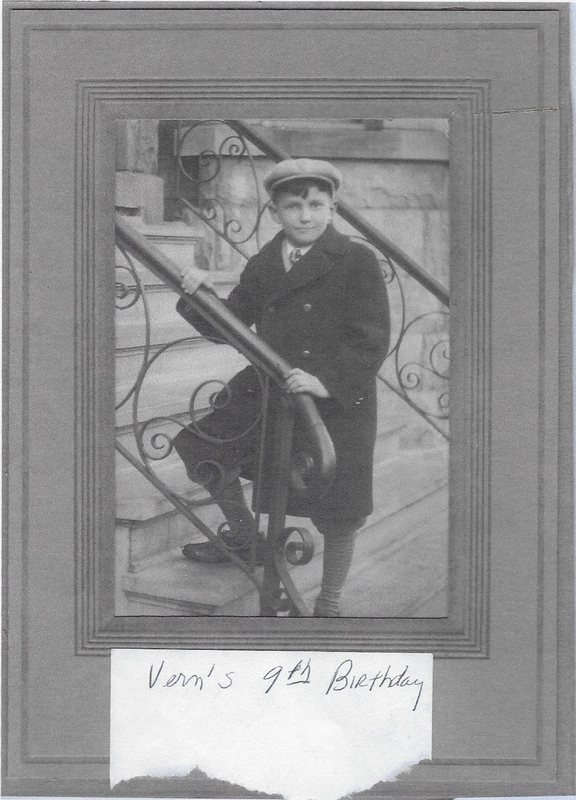 As to the identity of the boy model: Checkout this photo of Vern Berghauer, age 9, kindly provided to me by Vern’s family friends Brenda and Rudy Arreola. What do you think? Oshkosh Public Museum in Wisconsin is holding an exhibit titled “Geniuses of Oshkosh” July 2 – October 16, 2016. Beatrice Tonnesen is one of four homegrown geniuses who are featured. On display are original black and white photos by Tonnesen from the museum’s collection, paired with the colorful prints, calendars and advertising fans they became. Hours are Tuesday-Saturday, 10 AM – 4:30 PM and Sunday 1PM – 4:30 PM. The museum is closed on Mondays and all major holidays. It has taken me awhile to get to the point where I can write about this. On Saturday, October 24, 2015 we lost an incredibly brilliant and kind man, my friend Sumner Nelson, to lung cancer. I first encountered Sumner in 2007 when I phoned him to ask about some photos he had posted online. 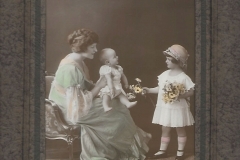 The photos were of his great-aunt, Beatrice Tonnesen, and it happened that I was researching her life and work. 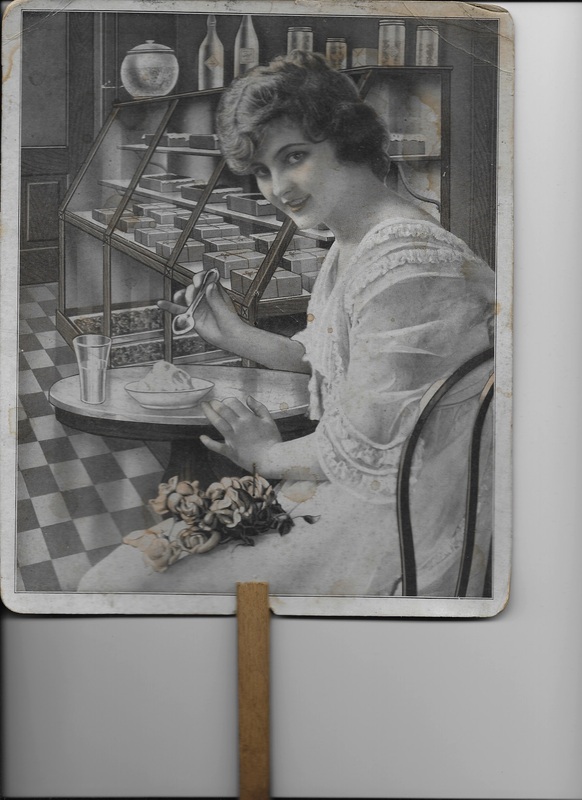 Sumner was hosting several blogs at the time and he offered to host one more-about Beatrice and the popular, but seldom attributed, artwork she created in Chicago between 1896 and 1930. 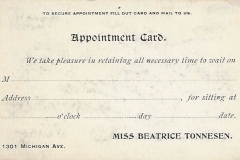 So, for almost eight years, we collaborated to bring Beatrice’s accomplishments to light. In a tweet last April, he characteristically understated his role as “Sumner’s little art/web participation.” It’s a lot more than that. Not only did he make the blog itself happen, he constantly tweaked the formats and slideshows, and restored the sometimes tattered images I sent him. Later, when we had enough material for a book, he and his wife, Martha, flew to Germany, where Terry and I were living, and scanned and photographed our collection. Then Sumner learned e-book formatting and published the book himself! Sumner was never just a participant. He was an enabler of good things. He made things happen. I’m so lucky to have known him and shared eight years of this endeavor with him. Thanks for everything, Sumner. I’m forever grateful.